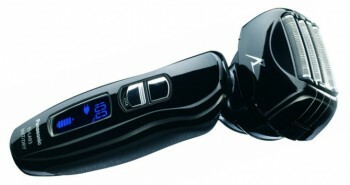 The Panasonic ES-RF31-S is a men’s steel foil-styled razor that provides functionality with elegance. The casing is built in a light gray plastic with black easy-grip base. 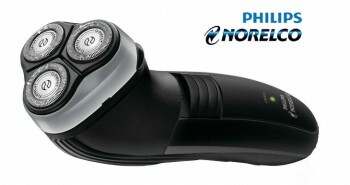 The shaver is cordless and rechargeable. The on/off switch can be locked into position, so you don’t accidentally turn it on while in transit. 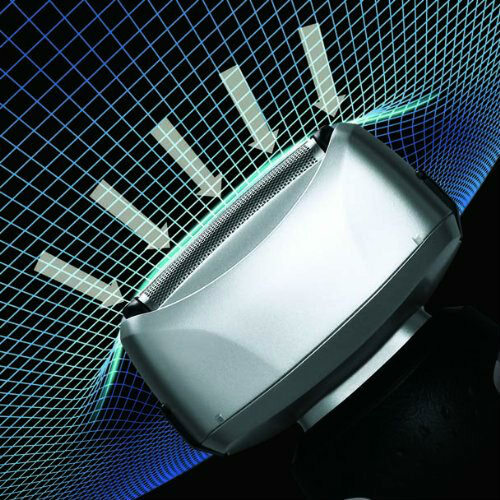 It’s located on the front of the shaver, and easily slides on or off with a flick of the thumb. An LCD light indicator tells you whether your battery charge is low, medium, or high. The Panasonic ES-RF31-S shaver provides a clean smooth shave, whether you’re using it wet or dry. Shaving wet with water, soap, gels, foams and creams may actually snip hairs off more closely to the skin, so you won’t need to do a touch up during the day. But if you do, simply put the shaver in your briefcase, and it’ll be ready to go. The Panasonic ES-RF31-S is built with 100% waterproofing, so even if you drop it in the shower, its internal mechanics are protected from moisture. It’s also easy to clean. After shaving, you’ll want to rinse the shaver under warm running tap water to get out the hairs, soap, gels, and any other sorts of shaving products you used. There is a sonic cleaning mode which will help to remove those tiny hairs from inside. Shake out the excess water, and pat dry with a towel. The stainless foil head has four built in blades, that are super thin. Each of these four blades independently floats from the others. Each of the blades is polished, so hairs don’t get stuck to them. These foil blades are razor sharp, and they have been made with similar traditional Japanese sword-making techniques, that build the sharpest, and most durable blades. Like the foil, they are also made with stainless steel, to minimize allergic discomfort. Stainless steel is one of the best types of metal, when a small appliance needs to be on sensitive skin. The blades are angled at thirty degrees, the optimum angle to effectively trim hair from the face. 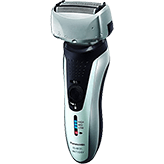 Panasonic calls their blades “nano blades”, for the best shaving experience ever, so the shaver can reach right down to the base of the hair to trim it off. 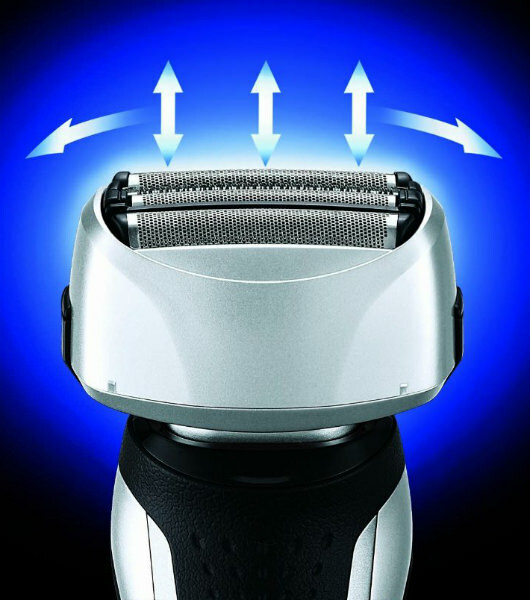 The entire shaver head also pivots, so it will move with the curves and hills of your face, cheeks, chin, and neck. The foil head will pivot back and forth, at about an angle of twenty five degrees, and from side to side at an angle of twenty degrees. The shaving head contains both slit foils and finishing foils, so that even if the first set of blades on the shaver misses some hair, the next set will take care of it, minimizing the length of time in the bathroom. Each set of foils is designed for different types of hair: whether long, short, or lying flat against the skin. Together, the Panasonic shaving system will effectively get your smooth skin in just one pass of the shaver, reducing shaving time. 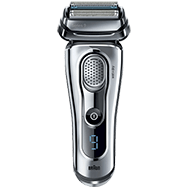 The slit foils of the shaver are designed to capture the long hairs of a beard that the others may miss. The blades trim the hair down, and allow the next set of blades to trim the rest of the hair smoothly off. The finishing foil is the last set of foils that will remove even the most stubborn hairs, particularly the ones that lay flat against the skin. Everyone wants to get in and out of the bathroom as quickly as possible, and this shaver certainly delivers. All these features combine together into what Panasonic likes to describe as “smart, innovative features”. The shaver will provide a smooth close shave, but it’ll still be comfortable, and not leave the skin red, or feeling itchy or sore. 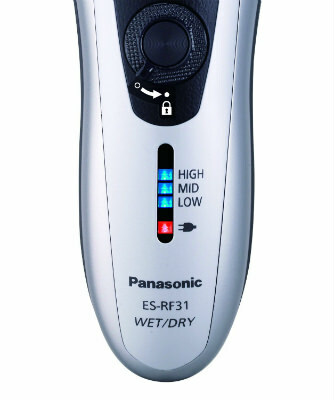 The Panasonic ES-RF31-S is built with a 10,000 RPM motor, which is the standard for fast shavers today. This reduces the likelihood of hairs getting trapped in the blades, and being tugged or pulled. 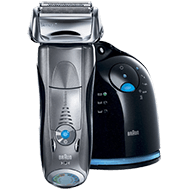 There is a built in trimmer on the shaver, and it simply slides up into position, to trim beard, mustache, goatee, or sideburns. When done, simply slide it back down again. The shaver has a lithium-ion battery, so it is fully rechargeable, eliminating the waste of having to throw out batteries. 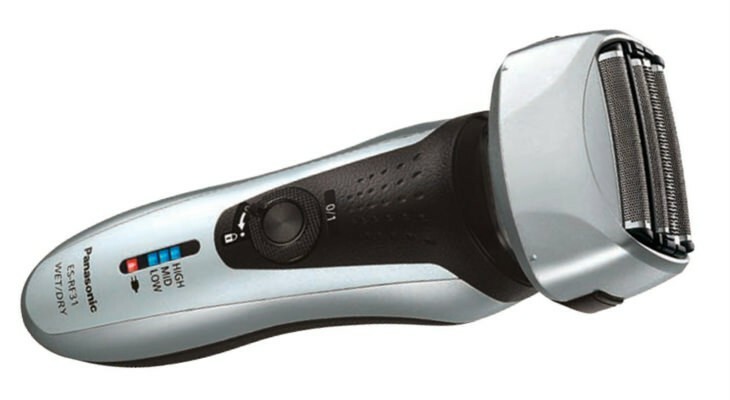 It takes one hour to fully charge up your shaver for cordless usage. One full charge will give you about forty-five minutes of shaving time, enough for at least a week, or more. The LCD indicator will tell you at which of three stages there is power left, and it will also indicate when the shaver is charging up, and when it’s done, so you can unplug it from the wall. A travel pouch will allow you to conveniently take your Panasonic ES-RF31-S on your travels, and the automatic universal dual voltage works from 100 volts to 240 volts, so you can bring it with you anywhere in the world. Of course you can just pre-charge it up and leave your charger cord at home, should you only be going away for a week or less. To keep your Panasonic shaver in perfect working order, you’ll want to replace the foil hair and the inner blades at least once a year. There are also combo sets where you can buy both together. In the box you’ll receive one Panasonic ES-RF31-S men’s shaver, an A/C adaptor/charging cord, and one travel pouch. 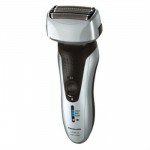 The shaver measures 2 inches by 2.3 by 6.4 inches. It weighs only 7.1 ounces. If you’re searching for a great cordless shaver, the Panasonic ES-RF31-S is both affordable, and looks great on the bathroom counter. It’s backed up by the “Good Housekeeping Seal of Approval”, which is one of the best product endorsements a men’s shaver can get.